The 1905 St. Louis Cardinals season was the team's 24th season in St. Louis, Missouri and the 14th season in the National League. The Cardinals went 58–96 during the season and finished sixth in the National League. 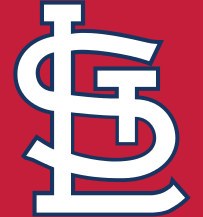 The 1914 St. Louis Cardinals season was the team's 33rd season in St. Louis, Missouri and its 23rd season in the National League. The Cardinals went 81–72 during the season and finished 3rd in the National League. The 1917 St. Louis Cardinals season was the team's 36th season in St. Louis, Missouri and the 26th season in the National League. The Cardinals went 82–70 during the season and finished 3rd in the National League. The 1921 St. Louis Cardinals season was the team's 40th season in St. Louis, Missouri and the 30th season in the National League. The Cardinals went 87–66 during the season and finished 3rd in the National League. The 1923 St. Louis Cardinals season was the team's 42nd season in St. Louis, Missouri and its 32nd season in the National League. The Cardinals went 79–74 during the season and finished 5th in the National League. The 1926 St. Louis Cardinals season was the team's 45th season in St. Louis, Missouri and their 35th in the National League. The Cardinals went 89–65 during the season and finished first in the National League, winning their first National League pennant. In the World Series, they defeated the New York Yankees in 7 games, ending it by throwing out Babe Ruth at second base in the ninth-inning of Game 7 to preserve a 3–2 victory. This was Rogers Hornsby's only full season as manager for the team. Catcher Bob O'Farrell won the MVP Award this year, batting .293, with 7 home runs and 68 RBIs. Led by RBI champion Jim Bottomley, the offense scored the most runs in the NL. The 1928 St. Louis Cardinals season was the team's 47th season in St. Louis, Missouri and the 37th season in the National League. The Cardinals went 95–59 during the season and finished first in the National League. In the World Series, they were swept by the New York Yankees. The 1930 St. Louis Cardinals season was the team's 49th season in St. Louis, Missouri and the 39th season in the National League. The Cardinals went 92–62 during the season and finished first in the National League. In the 1930 World Series, they lost to the Philadelphia Athletics in six games. The 1944 St. Louis Cardinals season was the team's 63rd season in St. Louis, Missouri and the 53rd season in the National League. The Cardinals went 105–49 during the season and finished 1st in the National League. In the World Series, they met their town rivals, the St. Louis Browns. They won the series in 6 games. Thomas Michael Shannon (born July 15, 1939) is a retired Major League Baseball player and the current radio broadcaster for the St. Louis Cardinals. Shannon is a radio broadcaster for the St. Louis Cardinals. He was raised in St. Louis, Missouri and played with the Cardinals during some of the team's most successful years. Shannon was the proprietor of Mike Shannon's Steaks and Seafood in downtown St. Louis until the restaurant closed January 30, 2016. He still has Mike Shannon's Grill in Edwardsville, IL and at Lambert St. Louis Airport run by his grandson Justin VanMatre. Mike Shildt (born August 9, 1968) is an American baseball manager for the St. Louis Cardinals of Major League Baseball. Shildt became the manager of the Johnson City Cardinals, the Cardinals Short Season A affiliate, in 2009, along with his scouting duties. He was promoted as manager of the Cardinals AA affiliate, the Springfield Cardinals, in 2011. He joined the major league coaching staff in 2017 and became manager in 2018 after the dismissal of Mike Matheny. On July 15, 2018 he collected his first managerial win in a 6–4 victory over the Cincinnati Reds. Albert Fred "Red" Schoendienst (; February 2, 1923 – June 6, 2018) was an American professional baseball second baseman, coach, and manager in Major League Baseball (MLB), and is largely known for his coaching, managing, and playing years with the St. Louis Cardinals. He played for 19 years with the St. Louis Cardinals (1945–1956, 1961–1963), New York Giants (1956–1957) and Milwaukee Braves (1957–1960), and was named to 10 All Star teams. He then managed the Cardinals from 1965 through 1976 – the second-longest managerial tenure in the team's history (behind Tony La Russa). Under his direction, St. Louis won the 1967 and 1968 National League pennants and the 1967 World Series, and he was named National League Manager of the Year in both 1967 and 1968. He was elected to the Baseball Hall of Fame in 1989. At the time of his death, he had worn a Major League uniform for 74 consecutive years as a player, coach, or manager, and had served 67 of his 76 years in baseball with the Cardinals.